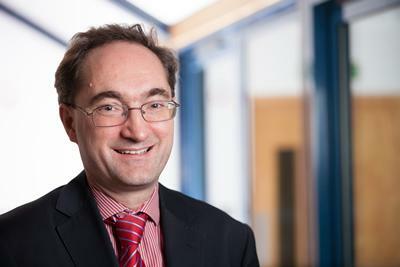 Professor Graham Roberts is Professor and Honorary Consultant Paediatrician in Paediatric Allergy and Respiratory Medicine within Medicine at the University of Southampton. Graham Roberts qualified in Medicine from the University of Oxford. He under took his paediatric training in Leeds and London. He completed a 4 year clinical research fellowship in paediatric allergy and respiratory medicine at Imperial College School of Medicine at St Mary’s in Professor Gideon Lack’s group. Graham Roberts was awarded a MSc in Epidemiology from the London School of Hygiene and Tropical Medicine. He completed his doctoral thesis on the safety and efficacy of immunotherapy for childhood allergic asthma. His other research interests included exhaled nitric oxide, quality of life in allergic disease, severe childhood asthma, improving the diagnosis and management of childhood food allergy and, in collaboration with the ALSPAC study, the epidemiology of childhood aeroallergen, food and latex allergy. Graham Roberts completed his training in paediatric respiratory medicine at The London Hospital and the Royal Brompton Hospital. Graham Roberts took up an appointment as a clinical senior lecturer in paediatric allergy and respiratory medicine in October 2004. He was promoted to Reader in 2007 and to Professor in 2011. He is also the Co- Director of the David Hide Asthma and Allergy Research Centre on the Isle of Wight. He is a member of the Executive Committee of the European Academy of Allergy and Clinical Immunology and, until June 2014, was Chair of the Paediatric Section. He is Editor-in-Chief of the journal Clinical and Experimental Allergy (impact factor 4.769). Graham Roberts’s has a translational epidemiological research programme. It focuses on the pathogenesis and natural history of childhood asthma and food allergy together with the development of new strategies to improve the management of asthma. This involves studies in Southampton, at the David Hide Asthma and Allergy Research Centre in the Isle of Wight and in collaboration with colleagues at the Evelina Children’s Hospital, St Thomas’s Hospital, London. Graham Roberts works clinically within the Southampton University Hospital NHS Trust as a paediatrician specialising in allergy and respiratory medicine. Additionally he oversees the undergraduate child health teaching programme. Specialist Registrar, Paediatric Respiratory Medicine, Royal Brompton Hospital, London. September 2003 to September 2004. Specialist Registrar, Paediatric Respiratory Medicine, Royal London Hospital, London. September 2002 to August 2003. Clinical Research Fellow, Paediatric Allergy, Asthma and Immunology, Imperial College of Medicine at St Mary’s, London . September 1998 to September 2002. Specialist Registrar, General Paediatrics and Neonates, West Middlesex University Hospital. September 1997 to September 1998. Registra, General Paediatrics, Community and Neonates, St Mary’s University Hospital, London. August 1996 to September 1997. Paediatric Senior House Officer, St James's University Hospital, Leeds. August 1994 to August 1996. Paediatric House Surgeon, The Royal Hospital for Sick Children, Glasgow. House Physician, John Radcliffe Hospital, Oxford. August 1993 to January 1994. Viruses are a key trigger of asthma exacerbations and observations in Southampton have suggested that a deficiency in IFN-beta production may be the cause. Paediatric asthma is a more heterogenous disease so direct extrapolations from adult observations to children can not be made. The challenge is to obtain paediatric airway samples to undertake ex vivo studies to understand the pathogenesis of viral induced asthma. In collaboration with Donna Davies and Stephen Holgate, the Asthma Brushings Cohort (MRC) is now focusing on how viruses impact on the development of the different pre-school wheeze phenotypes. While a clinical research fellow in London, Graham Roberts noticed that food allergy and asthma seemed to co-exist in children and teenagers, particularly when the asthma was severe or uncontrolled. The initial observations lead to a study were a series of children were described with exacerbations of asthma induced by aerosolised food (Roberts Allergy 2002). Later, a case-controlled study demonstrated that food allergy was a major risk factor for life-threatening asthma in children and teenagers (Roberts JACI 2003). Graham Roberts has lead the paediatric cohort of the U-BIOPRED project (EU IMI)(Fleming ERJ 2015). The study is taking an unbiased approach to the challenge of severe asthma in children, teenagers and adults. The cohort will also allow the observations to be extended into adult asthma providing additionally confirmatory evidence (Shaw ERJ 2015). The question arises as to whether asthma and food allergy are causally linked or whether the co-existence is purely due to an atopic predisposition. To address this issue, a birth cohort is required where the precise onset of food allergy and wheeze can be documented. This is being assessed within Graham Roberts's Prevalence of Infant Food Allergy (PIFA) birth cohort (Foods Standards Agency). The cohort contributed data to the EU FP6 Europrevall Project (led by Professor Claire Mills) where the specific aims are to establish the prevalence and pattern of food allergy across Europe and investigate the underlying environmental, including different weaning patterns (Keil Allergy 2010, Grimshaw JACI 2013, Grimshaw Ped 2013,). This study is now being extended as the FP7 funded iFAAM Project (led by Professor Claire Mills) which is following up the original PIFA birth cohort. As part of this the children are being re-assessed at age 7-8 years to understand how early like factors (such as nutrition and food allergy) impact on the later development of asthma. Childhood asthma may also be related to food in terms of nutrition. Graham Roberts has exploring this possibility with Katy Pike, Jane Lucas, John Warner, Hazel Inskip, Keith Godfrey, John Holloway and Sian Robinson within the Southampton Women's Survey. This is a unique cohort where antenatal growth has been measured and early childhood nutrition and growth documented. In the six year respiratory / allergy assessment of the SWS cohort (British Lung Foundation, Food Standards Agency) we have demonstrated that maternal nutrition and fetal growth have important effects on respiratory health and atopy in childhood (Pike Ped Pul 2010; Pike Thorax 2010) and excluded the important impact of antenatal nutrition (Pike Thorax 2012). As a research fellow in London, Graham Roberts observed that exhaled nitric oxide levels increased in children with asthma associated with grass pollen exposure (Roberts Thorax 2004), with levels that were correlated with both sputum eosinophil levels and asthma related quality of life (Roberts Clin Exp Allergy 2005). He therefore hypothesised that if exhaled nitric oxide was acting as a non-invasive marker of airway inflammation, monitoring levels might improve the management of childhood asthma by allowing the optimisation of inhaled corticosteroid therapy. On moving to Southampton, Graham Roberts led a 3 year randomised controlled study: Can monitoring exhaled nitric oxide levels in outpatients improve the management of children with asthma? (Sparks) in collaboration with Jane Lucas, John Warner, Gary Connett and Julian Legg in Southampton; Sheila Peters and Hannah Buckley in Portsmouth; Keith Foote in Winchester and Chris Magier on the Isle of Wight. Unfortunately there were no significant differences between the two groups suggesting that monitoring exhaled nitric oxide does not improve asthma management (Pike Resp Ped 2012). The reason for the failure of exhaled nitric oxide to improve the management of asthma can be explained by Graham Roberts's observations from our 18-year follow up of the Isle of Wight 1989/1990 Birth cohort (British Medical Association; National Institutes of Health). Exhaled nitric oxide levels were related more closely to atopy than asthma (Scott Thorax 2010). In collaboration with Hasan Arshad (CI) and Ramesh Kurukulaaratchy, our 18 year follow up of the Isle of Wight prevention cohort (National Institutes of Health Research) demonstrated that a combination of house dust mite avoidance and a hypoallergenic diet in the first year of life can prevent the development of allergy and asthma over the whole of childhood and adolescence (Scott Thoax 2012). However, this is a very difficult intervention for parents to follow. Graham Roberts's grass pollen immunotherapy study demonstrated that high dose allergen can modulate the immune response to reduce or even abolish asthma symptoms in children with hayfever associated asthma (Roberts JACI 2006). So can high dose of allergy prevent the development of allergy? Epidemiological observations suggest that exposure to high doses of allergen such as peanut is associated with less allergy. So in a the study Induction of Tolerance through Early Introduction of Peanut in High-Risk Children (Immune Tolerance Network), with Gideon Lack (CI), George DuToit and Victor Turcanu based at the Evelina Children's Hospital, Graham Roberts tested the hypothesis that the early introduction of peanut will reduce the risk of peanut allergy (DuToit JACI 2013). The study demonstrated that the early introduction of peanuts into the diet effectively prevents peanut allergy developing (DuToit NEJM 2015). We are about to report whether this effect represents short lived desensitisation or longterm tolerance. Either way, this result will completely change the management of infant feeding both in the UK and worldwide. There are similar observations suggesting that exposure to high doses of aeroallergens such as house dust mite may induce allergic tolerance. Together with Hasan Arshad (CI) and Ramesh Kurukulaaratchy, he is undertaking a study looking at the potential for sublingual immunotherapy to prevent the development of allergy in high risk infants (NIHR Respiratory Biomedical Research Centre). This proof of principle study demonstrated this is approach is both safe and effective (Zolkipli JACI 2015). LIf the follow on studies are equally positive, this could lead to a breakthrough in the prevention of allergic disease in children. Roberts, G. (2016). Allergen immunotherapy for the prevention of allergic disease: protocol for a systematic review. Pediatric Allergy and Immunology, 27(3), 236-241. DOI: doi: 10.1111/pai.12524. Grimshaw, K., Roberts, G., & Maslin, K. (Accepted/In press). Nutritional adequacy of a cow's milk exclusion diet in infancy. Clinical and Translational Allergy, 1-26. Fitzsimons, R., Fox, A. T., Holloway, J., Kane, P., & Roberts, G. (2013). Evaluation of a children's pollen immunotherapy service. Current Allergy and Clinical Immunology, 26(3), 137-144. King, R., Roberts, G., Erlewyn-Lajeunesse, M., Lucas, J., & Holloway, J. (2011). Letter. Fears over allergy test skills. Nursing Children and Young People, 23(10). Roberts, G., Hurley, C., Bush, A., & Lack, G. (2004). Longitudinal study of grass pollen exposure, symptoms, and exhaled nitric oxide in childhood seasonal allergic asthma. Thorax, 59(9), 752-756. Roberts, G., Newsom, D., Gomez, K., Raffles, A., Saglani, S., Begent, J., ... Habel, A. (2003). Intravenous salbutamol bolus compared with an aminophylline infusion in children with severe asthma: a randomised controlled trial. Thorax, 58(4), 306-310. Roberts, G., & Lack, G. (2003). Relevance of inhalational exposure to food allergens. Current Opinion in Allergy and Clinical Immunology, 3(3), 211-215. Torr, T., Gaughan, M., Roberts, G., Bynoe, Y., Semple, E., Lack, G., & Butler, J. (2002). Food challenges: a review and audit. Paediatric Nursing, 14(9), 30-34. Roberts, G. (2006). Systemic allergic reactions. In S. H. Arshad, & S. T. Holgate (Eds. ), The Year in Allergy Volume 3 (pp. 111-128). Oxford, UK: Clinical Publishing. Romei, F., Grubisic, A., Gibbon, D., Lane, O., Hertford, R. A., & Roberts, G. (2015). A Thermo-fluidic Model for a Low Power Xenon Resistojet. Paper presented at Joint Conference of 30th ISTS, 34th IEPC and 6th NSAT, Hyogo-Kobe, Japan, Japan. Roberts, G. (2017). Another step towards prevention of food allergy. The Lancet, 389, 230-231. DOI: doi: 10.1016/S0140-6736(16)31661-0. Roberts, G. (2017). Immunotherapy with lipid protein syndrome and diagnosing asthma. Clinical & Experimental Allergy, 47(3), 298-299. DOI: 10.1111/cea.12908, doi: 10.1111/cea.12908. Roberts, G. (2016). A clean bill of health for LABAs? Clinical & Experimental Allergy, 46, 892-893. DOI: 10.1111/cea.12768. Roberts, G. (2016). Editorial. One or two? Clinical & Experimental Allergy, 46, 1246-1247. DOI: doi: 10.1111/cea.12822. Roberts, G. (2016). Immunotherapy, asthma and community allergic reactions to food. Clinical & Experimental Allergy, 46(6), 780-7811. DOI: 10.1111/cea.12752. BM5 and BM4. University lead for child health undergraduate teaching. Coordinate final year teaching liaising with centres across Wessex. Deliver small group teaching in final year. BMedSc and MMedSc. Regularly supervises students focusing on epidemiological or qualitative studies into childhood allergy and asthma. Personal tutor to BM undergraduate students.